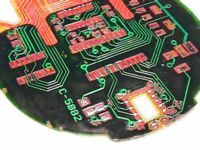 Founded in 1983, FTI was chartered to provide design support, and proto-type manufacturing of single sided, double sided, multi-layer/rigid-flex circuits for the Military and Aerospace industries. As the needs of our customers changed and expanded into commercial and consumer markets, Flex Technology expanded its product capabilities and developed into a full service company with the resources to provide complete Customer Support. In today's global marketplace, your competition is aggressive and persistent. To be successful one needs to consolidate its resources to insure all products supplied are delivered on time and on budget. FTI understands this need and provides this critical support by developing long term partnerships with our customers. FTI will provide multi-year, fixed pricing contracts. Circuits will be manufactured and placed in our stock, ready to support unique delivery requirements. FTI's service and support translates into customer satisfaction. This is the corner stone of FTI's commitment to our customers. Let us work for you and together we will achieve total success.